Uhuru Pies is asking all of our pie buyers and supporters to give generously during this holiday season to support the Black Power BluePrint! Donations to Black Power Blueprint are securely processed by Flipcause, a leading fundraising platform for non-profits. 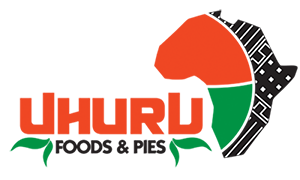 Uhuru Foods & Pies is accepting ingredient donations. Let us know about your donation and we can make arrangements to meet you or pick it up. Call us at: 1-800-578-5157. Make someone’s day by donating pies! Pies will be donated to local charities and non-profit organizations. Proceed to the Buy Pies page and order as you would normally, selecting “I’d like to donate the pies” in the Pick Up or Delivery area.